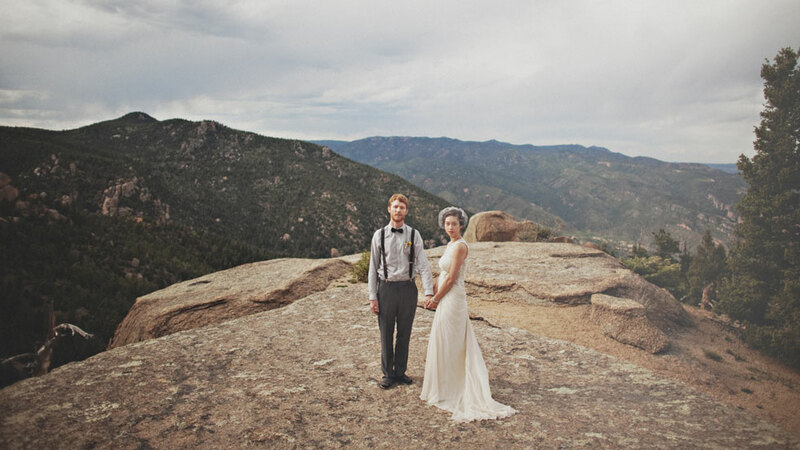 Just as I made a post about Ingrid Michaelson's song You and I, somebody really went up to a mountain to get married and made everybody look like ants. Absolutely incredible wedding. Everything was handmade or vintage, and the whole affair was deeply personal, personalized and well, perfect. It doesn't really get any better than having a wedding-topper, painted by your mother in your likeness, on your cake does it? Full post here on Etsy and photos were taken by Sean Flanigan.